Format: Standard manuscript format in Microsoft Word or Rich Text Format; or send the story in the body of your email. Will they take simultaneous or multiple submissions? No. However, if they reject your story before the end of the reading period, you may submit one more. Read more about multiple and simultaneous submissions. 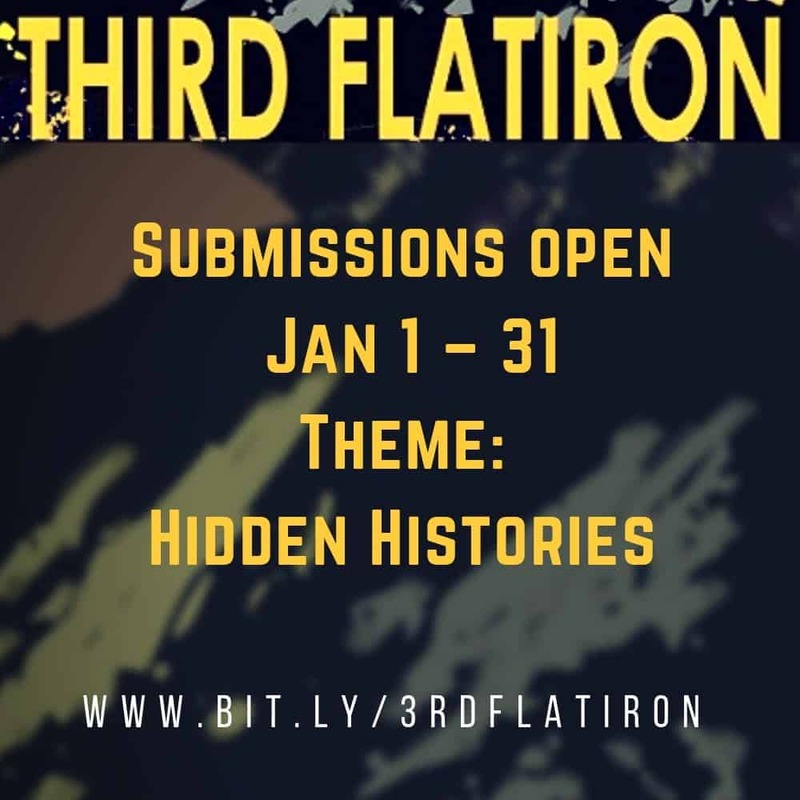 Find more details at Third Flatiron Home Page and Third Flatiron | Submission Guidelines, and don’t forget to tell them you found their submission call here! Ooo, nice! Thanks for sharing!